Info Humphrey Marshall (1760 – July 3, 1841) was a United States Senator from Kentucky. Marshall was born in Fauquier County, Virginia, the son of John and Jane (Quisenberry) Marshall. Marshall was well-educated in Virginia. He became a captain in the American military during the Revolutionary War. He was a member of the 1788 Virginia convention which ratified the Constitution of the United States. Marshall came to Kentucky in 1780, and married his cousin Mary Marshall, who was the sister of future Supreme Court Chief Justice John Marshall. He represented Woodford County in the Kentucky legislature in 1793. From December 1795 to March 3, 1801 he served in the United States Senate as a Federalist. On January 19, 1809, he fought a duel with Henry Clay, in which both men suffered slight wounds. Marshall opposed Clay's proposal that all Kentucky legislators should wear domestic homespun rather than English broadcloth. 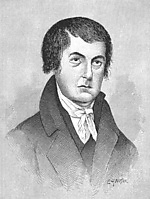 He served in the Kentucky House of Representatives in 1807, 1808, 1809, and 1823. He was author of the first published history of Kentucky, published in Frankfort in 1812 and in 1824 in a two-volume edition. Marshall died near Frankfort, Kentucky on July 3, 1841. His son Thomas Alexander Marshall was a U.S. Representative from Kentucky. He was the grandfather of four-term Kentucky Congressman and Confederate General Humphrey Marshall. His nephew was Kentucky Congressman Thomas F. Marshall.